We are privileged to work with several loyal and generous corporate organisations. Through sponsorship, donations, volunteering and attending corporate away days we maintain worthwhile projects and create happier lives. Could you be superhuman for a day? Ever wondered what it takes to be a Paralympian? Now is your chance to find out by taking part in a day of Paralympic sports and challenges. 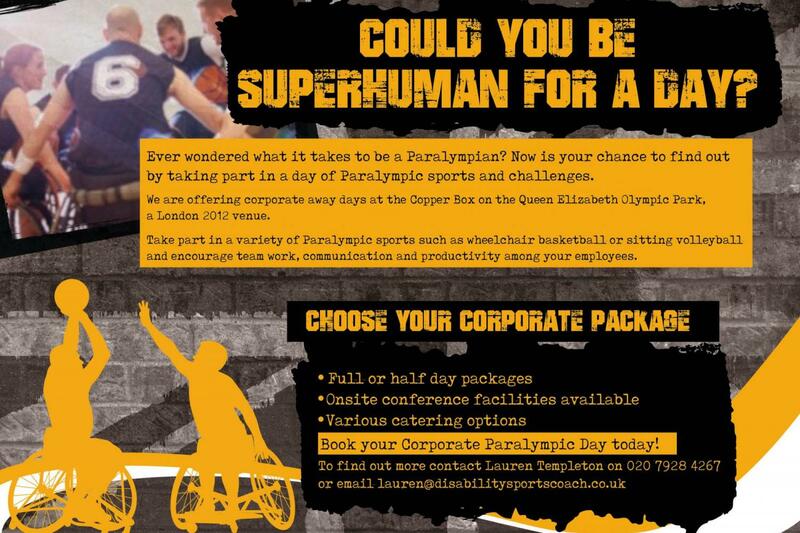 We are offering corporate away days at the Copper Box on the Queen Elizabeth Olympic Park, a London 2012 venue. Take part in a variety of Paralympic sports such as wheelchair basketball or sitting volleyball and encourage team work, communication and productivity among your employees. Meet Grace, a 15 year old girl with downs syndrome. Before Grace joined her local Community Club, she couldnt kick a ball in her local park. She can now dribble, shoot and score. 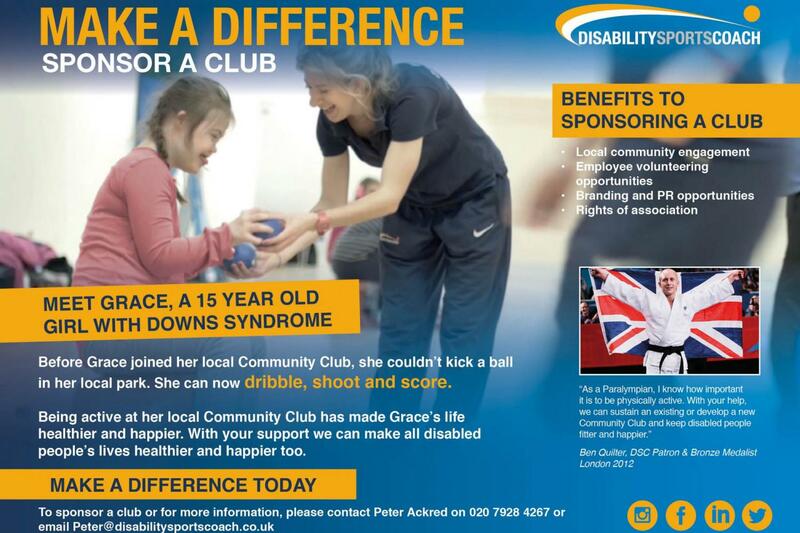 Being active at her local Community Club has made Grace's life healthier and happier. With your support we can male all disabled people's lives healthier and happier too.